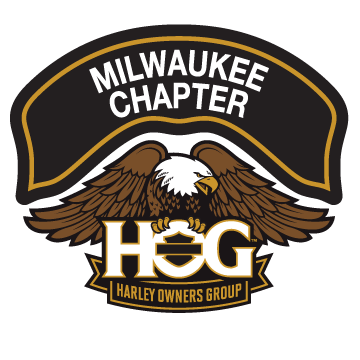 New Members | Milwaukee Chapter H.O.G. We’ve prepared a New Membership Packet containing everything you’ll need to know as a member. To get this packet, you have to become a member! To become a member, download the New Member Form here, and complete it, and then bring it in (signed) to the House of Harley to become a member of the Milwaukee Chapter. You can also ask the Membership Officer for a paper copy at any of our monthly meetings or other activities. The Ambassador program establishes a first point of contact for new and prospective members. Consider them your Chapter tour guides. Always ready and willing to assist, they are available to help you through your initial phase of membership, and make sure you are getting the most out the Chapter. Members-at-Large are the liaison between a member and the Board of Directors. If you have an issue or concern, but you are not comfortable being its champion in the face of the Chapter or its leadership, the Members-at-Large are there for you. Simply discuss your topic with an Members-at-Large, and they will represent you (anonymously if you wish) to the Leadership. Their role as liaisons is indispensable in keeping the chapter rolling, free and clear of baggage that can linger and fester. If you have an issue, there’s no reason it can’t be addressed. Please utilize our Members-at-Large on your behalf. If you would like to have an Ambassador or a Member-at-Large contact you, use the feedback section of this website, and they will be notified.